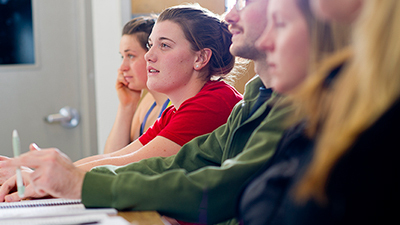 The Master’s of Science in Physical Therapy (MScPT) program at the University of Alberta is one of 15 physical therapy programs in Canada (10 English, 5 French). It is an accredited, graduate, professional, entry-level physical therapy (PT) program, and is one of the largest in Canada with approximately 110 students admitted per year. The Masters of Physical Therapy program graduates are prepared to meet the current and future challenges of client-centered, evidence-informed, interprofessional practice. They represent tomorrow's professional leaders. Short Term: The immediate objective of the program is to provide students with physical therapy skills that meet the workplace demands of diverse and changing healthcare environments. In addition to clinical competencies, entry-level practitioners need effective strategies for autonomous practice, evidence informed decision making and outcome and program evaluation. They need graduate level research evaluation skills that they can apply to the client in day-to-day clinical practice. Long Term: The longer term objective is to graduate entry-level physical therapists with life-long learning skills who will continually monitor and modify their practice to ensure efficacious, cost effective physical therapy care to people of Alberta, Canada and the global community. The MScPT Program is a year-round, full-time program and can be completed within 30 months of study. All Canadian entry-level PT programs graduate physiotherapy generalists and are not programs of specialization. National entry-level competencies must be acquired in all practice areas (musculoskeletal, cardiorespiratory, neurology, oncology, pediatrics, etc.) by the end of the program. Academic courses and clinical placements are offered over the fall, winter and spring/summer sessions. These terms are coordinated into 7 Blocks of study over 8 consecutive University terms. The program runs over 30 months (2.5 years) total. This includes short breaks (1 to 3 weeks) in most blocks and a long break (6 weeks) in each summer term. Please review the MScPT Program Flowchart. Note: For students admitted to the MScPT program in 2019, mandatory orientation occurs on July 30 & July 31, 2019. The start date of the first course (PTHER 516 Anatomy) is August 1, 2019. Anatomy is completed in an intensive format (lecture and lab 5 days per week) until August 30. All students are required to attend this course at the Edmonton Campus. Fall term courses will then start on Tuesday, September 3, 2019, at the three campuses. Upon successful completion of the MScPT program, graduates are eligible to take the national Physiotherapy Competency Examination (PCE). The PCE consists of a written and a clinical component. Once the PCE is passed, the graduate can apply for licensure to practice physical therapy. 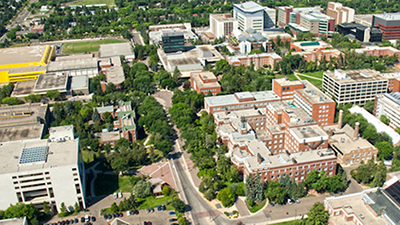 The University of Alberta MScPT course-based program is offered at three different campuses; Edmonton, Calgary, and Augustana (located in Camrose). Of the 110 students admitted to the program, approximately 12 study in Camrose and 18 in Calgary. Admission into any of our campuses is based on the same criteria and standards. All students begin the program with a one month residency in Edmonton to study anatomy and establish initial face-to-face connections with the colleagues they will be working with via technology throughout the remainder of their program. 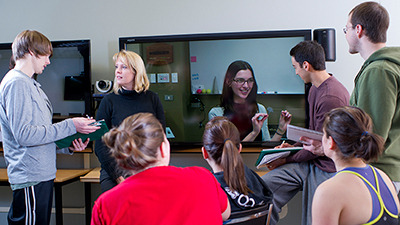 With the MScPT program’s distributed education model, students at all campuses complete the same core program of required courses as their colleagues enrolled at the other campuses. Each campus will offer unique elective opportunities reflective of local expertise and community partnerships in addition to the online electives available to all. Upon successful completion of the program students will receive a Master of Science degree in Physical Therapy from the University of Alberta and graduates will be eligible to write the Canadian Alliance of Physiotherapy Regulators entry-level proficiency exam. The Master of Science in Physical Therapy program at the University of Alberta has completed the accreditation review process administered by Physiotherapy Education Accreditation Canada (PEAC). PEAC is an incorporated body under the Canada Not-for-profit Corporations Act and operates as the accrediting agency for physiotherapy education programs in Canada. The status of Accreditation - Fully Compliant was granted to the program on October 15, 2018, for the period to October 31, 2024. A description of Accreditation - Fully Compliant follows. There is no criteria non-compliance. If progress is not made, the program's accreditation status could be changed to partially compliant or probationary at any time in the six year accreditation cycle. Students must be considered graduates from an accredited physiotherapy education program in Canada in order to be eligible to write the Physiotherapy Competency Exam and be licensed to practice in physiotherapy in Canada. The program's accreditation status is important to graduating students with regards to becoming licensed to practice physiotherapy in Canada. 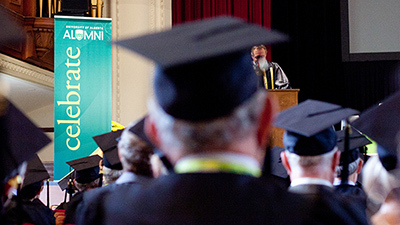 It is recommended that students contact the Canadian Alliance of Physiotherapy Regulators (www.alliancept.org) for information regarding the process to become licensed as a physiotherapist in Canada following graduation. Please click on the PEAC website below for further information.